A creamy chocolate fudge with bite sized pieces of cookie dough throughout. 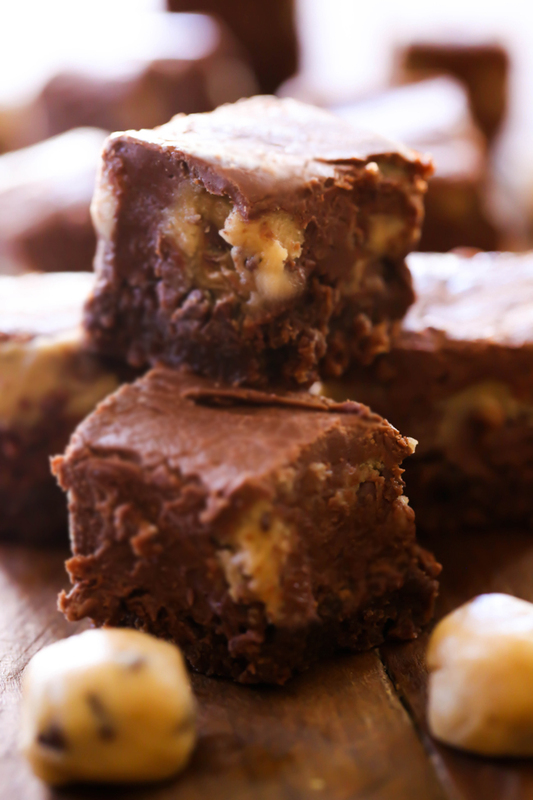 This is truly a delicious and incredible fudge recipe! Fudge happens to be one of my absolute favorite desserts. I crave it all the time! Cookie dough happens to be another favorite guilty pleasure so combining the two was a complete no brainer for me! In small bowl beat butter, brown sugar, sugar, milk and vanilla. Add flour and mix. Add chocolate chips and mix. Roll into ½ inch balls and place in freezer. Line a 9x13 pan with foil. Make sure to leave over-hanging edges with foil. Set aside. In a large sauce pan, over medium heat, melt butter, sugar, brown sugar and evaporated milk together, stirring constantly and bringing it to a full rolling boil. Reduce heat to low and continue to boil and stir constantly for 4-5 minutes. Remove sauce pan from heat and stir in Semi-Sweet Chocolate Chips and milk Chocolate Chips. Stir until melted and mixed in then add marshmallow cream and stir until smooth. Pour half of fudge into prepared pan and evenly spread to distribute. Distribute Cookie Dough balls evenly over the top of the fudge. 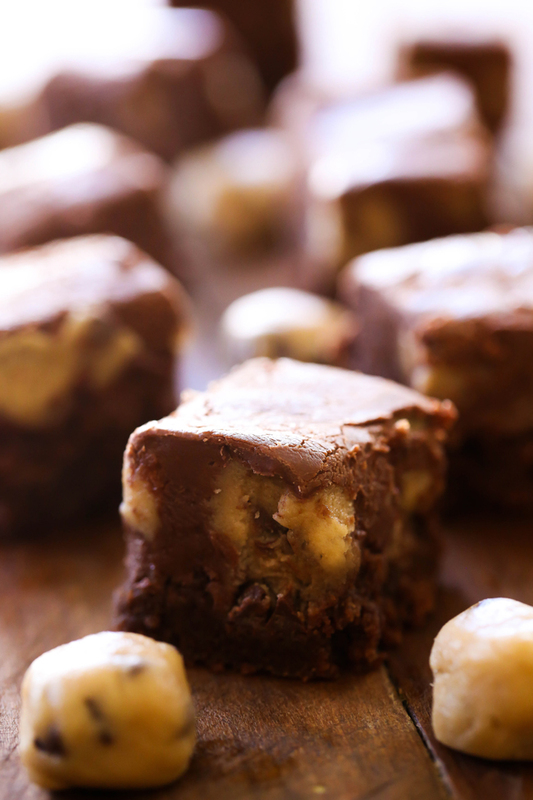 Carefully spread remaining fudge over the tops of cookie dough until smooth and uniform. Refrigerate until fudge is completely set up and cooled. Once fudge is set, remove from fridge; carefully lift out the fudge with overhanging foil. Cut into 1-inch squares. I need evaporated milk and then I am making this as quickly as I can! !